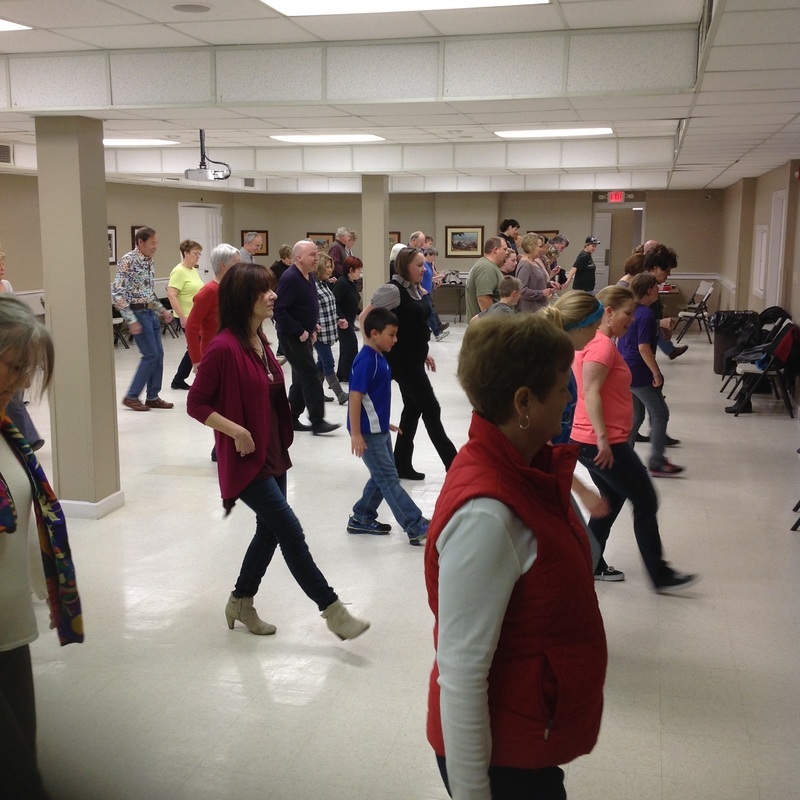 ​Line dancing is an alternative way to be more active, meet new friends, increase stamina and cardiovascular endurance, improve balance, move rhythmically to energizing music, release stress, and just have fun! Get your exercise the fun way! ​6-7 p.m. --This entry-level class is especially tailored for absolute beginning line dancers to get started with basic dance rhythms, short combinations, and easy-to-do, low-impact line dances. Learn how to do the 5 dance rhythms used in all social dancing, recognize typical line dance steps and patterns, build vocabulary for line dancing, and become more comfortable moving in the 10 basic directions. All skill levels are welcome to come and practice the Level 1 line dances whether as a warm-up and/or a way to get more low-impact aerobic exercise. New to line dancing? Get moving with low-impact aerobics (like walking to music) as you gradually improve your stamina, balance, and footwork—all while enjoying a variety of music and experiencing different line dance styles! Can't make it each week? Join us when you can as we have a drop-in format with new line dances each week (revolving two weeks on the same line dances), lots of practice time, and reviews of the previous week(s) too! ​7:10 - 8:10 p.m. --More challenging rhythms & combinations! This class extends the difficulty from level 1 for improver and intermediate level line dancers. New line dances are taught each week along with a review of the previous week's line dances. Low-impact options are given for all line dances with a variety of music styles for both classic and popular line dances. In this class, you will refine your turn techniques, learn a variety of rhythm syncopations, and increase your self-expression as you become more comfortable adding your personality to the line dances. ​8:15 - 8:45 p.m. --Request your favorite line dances for 30 minutes of non-stop action--and get even more of a workout! Copperhead Road is a favorite line dance!